Choose a good location to begin installing your router such as an open floor space or table. This does not need to be the permanent location of the device: Wireless routers sometimes need careful positioning and deployment in places difficult to reach. At the beginning, its better to choose a location where it's easiest to work with the router and worry about final placement later. Older network modems connect via an Ethernet cable but USB connections have becoming increasingly common. The cable plugs into the router jack named WAN or uplink or Internet. When connecting devices with network cables, be sure each end of the cable connects tightly: Loose cables are one of the most common sources of network setup problems.After connecting the cable, be sure to power cycle (turn off and turn back on) the modem to ensure the router recognizes it. From the computer connected to the router, first open a web browser. Then enter the router's address for network administration in the Web address field and hit return to reach the router's home page. Many routers are reached by either the Web address "http://192.168.1.1" or "http://192.168.0.1" Consult your router's documentation to determine the exact address for your model. Note that you do not need a working Internet connection for this step. The router's home page will prompt for a username and password. Both are provided in the router's documentation. You should change the router's password for security reasons, but do this after the installation is complete to avoid unnecessary complications during initial setup. If you want your router to connect to the Internet, enter Internet connection information into that section of the router's configuration (exact location varies). For example, those using DSL Internet often require entering PPPoE username and password settings into the router.. Likewise, if you requested and have been issued a static IP address by your Internet, the static IP settings (including network mask and gateway address) supplied by the provider must also must be set in the router. Some Internet providers authenticate their customers by MAC address.If you were using an older network router or other gateway device to connect to the Internet before, your provider may be tracking that MAC address and prevent you from going online with the new router. If your Internet service has this restriction, you can (through the administrator console) update the MAC address of the router with the MAC address of the device you were using previously to avoid having to wait for the provider to update their records. Routers come from the manufacturer with a default name chosen, but there are advantages to using a different name instead. You can also change the Wi-Fi name on a network router. Verify the local network connection between your one computer and the router is working. To do this, check that the computer has received valid IP address information from the router. Open a web browser and visit a few Internet sites such as http://wireless.lifewire.com/. 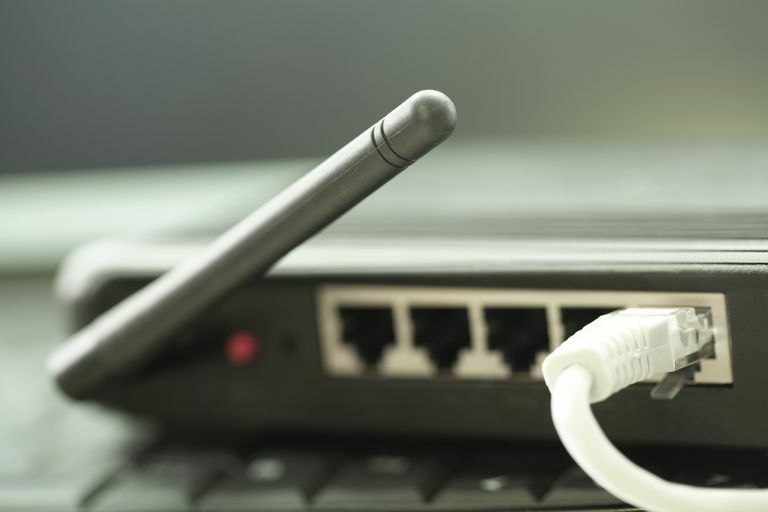 When connecting from a wireless device, ensure the network name – also called a Service Set Identifier (SSID) — chosen matches that of the router. Configure additional network security features as needed to guard your systems against Internet attackers. These Wi-Fi Home Network Security Tips contain a checklist to follow. Finally, place the router in an optimal location.